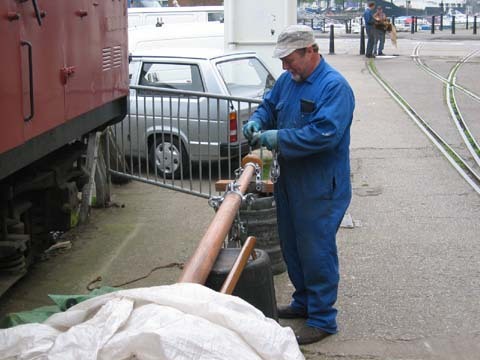 Mike Taylor preparing the truck of the mainmast prior to re-erection. 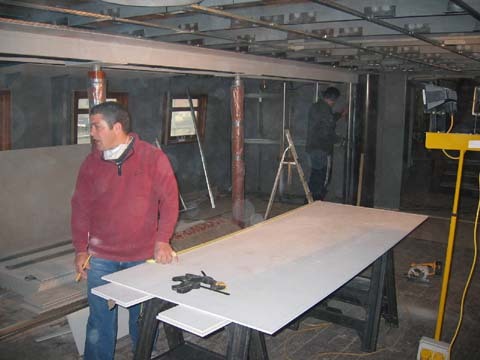 The next is of work proceeding on panelling in the Dining Saloon. (Sorry for the quality caused by reflections on new metal and dust). 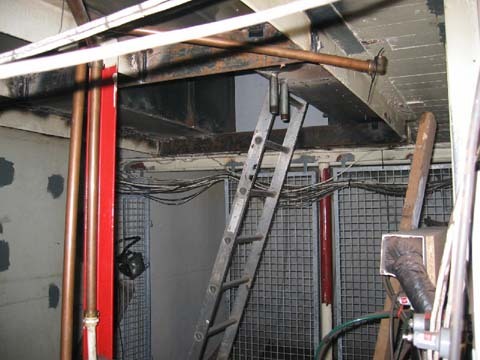 The third is of the new emergency access cut in the deckhead of the aft lower bar.